Melbourne is a thriving cosmopolitan metropolis that draws people from all walks of life, they’re attracted to its myriad of cultural attractions, vibrant restaurants and internationally acclaimed shopping scene. Don’t know the best places to go retail shopping in Victoria’s capital city? Prepare to be tempted to scout for a permanent home in Melbourne. Here are some of the city's hottest retail destinations. The “Vic Market,” as it’s referred to locally, is a century-old tradition that is located on the city’s northern tip. You can lay your hands on some of the region’s freshest produce and an assortment of other products such as apparel, souvenirs, and colorful toys. From November to February, Wednesdays are reserved for live entertainment at the night market, where you can snag crafts, lip-smacking global food and a variety of health products. A hip shopping stretch that houses some amazing high street fashion brands, local cafes and accessories stores, Chapel Street sports an unflinchingly bohemian feel. You can find cool vintage clothing pieces here, in addition to antiques and Australian designer wear. Head to the Greville Street Market on Sundays to stock up on eclectic fashion. Located in Hoppers Crossing at the heart of the Wyndham community, Pacific Werribee is one of Melbourne’s newest major shopping centres boasting over 200 stores and Village cinema complex. With a great range of stores from fashion to homewares, restaurants, and an entertainment precinct, this is the perfect place to spend the entire day with friends or family. 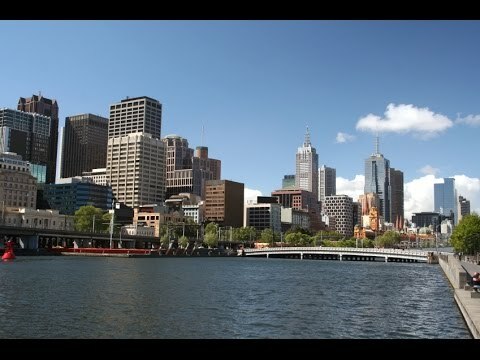 Melbourne is filled with a host of interesting shopping options and living in a world-class city like Melbourne allows you to enjoy the good life replete with fine dining options, great education, innumerable entertainment hubs, and shopping hotspots. Buy reasonably priced house and land packages from a reputed master-planned real estate community in the city to enjoy a great lifestyle.